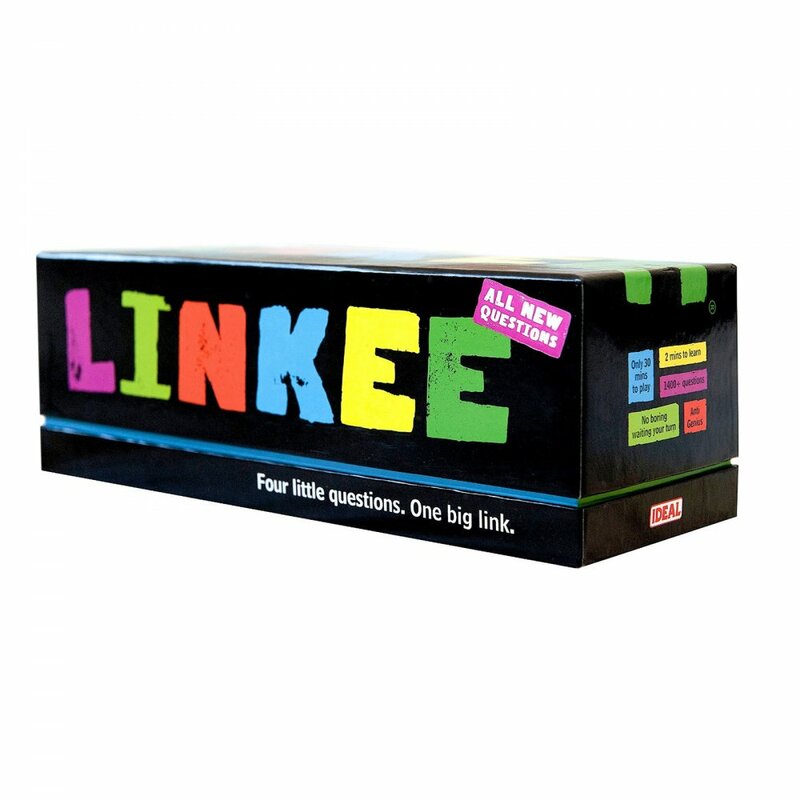 Linkee "4 Little Questions 1 Big Link"
Ideal Linkee "4 Little Questions 1 Big Link"
Welcome to Linkee the super-simple, shouty-outy, party quiz. If you haven’t played Linkee yet you’re in for a treat. It takes two minutes to learn, 30 minutes to play and is perfect for anyone from a tricky teen to a grouchy grandad. To play simply answer the four questions and spot the link between the answers faster than the other teams. So if the answers were John, Paul, George and Ringo the Linkee would be? The Beatles. Exactly. Once you spot the link shout LINKEE! Get it right and win a letter. Win enough letters to spell Linkee and you win the game. Contents: Over 1400 questions and links, 4 coloured pencils with hidden link, 4 fancy printed pads and rules.